SYDNEY (Reuters) – China rejected a request for a senior bilateral meeting during a recent visit by Australia’s trade minister, a high-ranking diplomat said on Thursday, as relations between the two major trading partners fray. Frances Adamson, secretary of Australia’s Department of Foreign Affairs and Trade (DFAT), told a parliamentary committee that Trade Minister Steven Ciobo met with the mayor of Shanghai during his visit in mid-May, after an attempt to meet with his ministerial counterpart was rebuffed. “We indicated to the Chinese that a meeting with Mr Ciobo’s counterpart would have been welcomed,” Adamson said on Thursday during a scheduled parliamentary briefing. Relations between the two trading partners have been severely tested just two years into a free trade pact amid moves by Australia to limit foreign influence, spurring legislation banning foreign political donations. Australia has also tightened regulations on foreign investment, and outright rejected Chinese company-led bids for sensitive assets, such as energy grids, while at the same time strengthening its economic and diplomatic relations with long-time ally the United States. 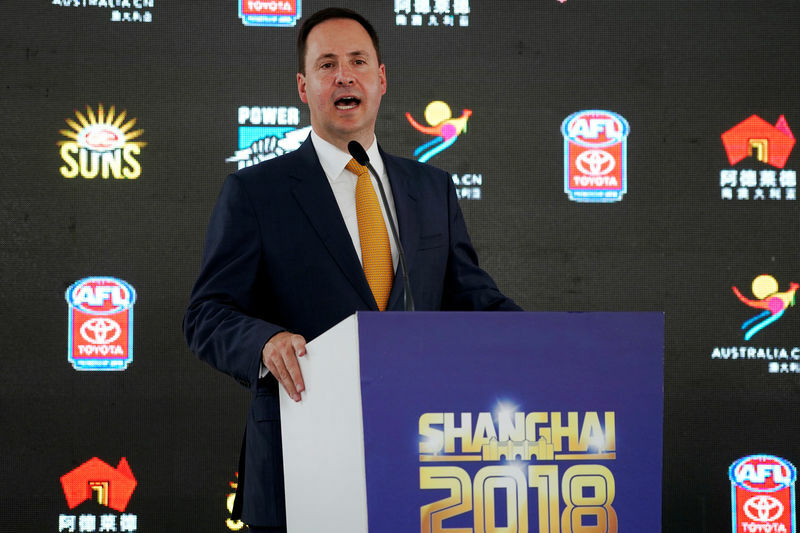 Ciobo was the first Australian government minister to be granted permission to visit China in eight months when he traveled to Shanghai on May 17. While he was there to attend an Australian Football League game, the visit was heralded as a sign that bilateral relations between the two countries were warming. But bilateral relations soured further after the visit, when Australia’s Treasury Wine Estates Ltd, the world’s biggest listed winemaker, said it faced delays getting some products through Chinese customs. The company’s shares tumbled amid fears it was the first casualty of the diplomatic rift. Australia has sought to downplay the issues facing Treasury Wine, but Graham Fletcher, Head of the North Asian Division at DFAT, said “four or five” other Australian wine companies are also experiencing similar issues. Fletcher, also appearing before the country’s senate committee on Thursday, did not name the affected companies, though he said DFAT has seen “signs of progress” in addressing the issue. Australian Foreign Minister Julie Bishop last week met with the Chinese government’s top diplomat Wang Yi on the sidelines of a G20 meeting in Argentina. Wang said he welcomed an improvement in tone from the Australian government, but for relations to improve, Australia would need to remove its “colored glasses”. “If the Australian side wishes the bilateral relationship to return to the right track and realize sustained healthy development, then it must abandon traditional thinking and take off its colored glasses,” Wang was quoted as saying in a statement.